- Latecomers may not be admitted until an appropriate moment in the performance as agreed by the Stage Manager. - The Management reserve the right to refuse admission and alter the programme without prior notice. - Any recording during the performance (either audio or visual) is prohibited. Filming and photos can be taken before the show, during the interval and after the show. - Any tickets sold on for profit or personal / commercial gain will be voided. - If you seek readmittance to stage level seating during the performance, you may be re-seated to an alternative seat at gallery level. This is to preserve the comfort and experience of other audience members and also because, due to the nature of theatre in the round, doors at stage level are used for actors entry and scene changes. If a performance is sold out and you can no longer attend, we will try to sell any returned tickets for that specific performance, although this can’t be guaranteed. In order for us to do this, your tickets must be returned to the Box Office at least 48 hours before the performance.  If we are successful in reselling it, a refund will be issued as a credit to your Royal Exchange account - we’ll deduct 10% of the cost of the ticket from the credit, as a handling fee. The credit will be valid for a period of 6 months, and can be used against any future booking, or alternatively if you contact us with your card details, we can issue it as a refund to your credit/debit card. For our Theatre space we ask that audience members with small children book seats that allow easy exit should you require. Audience members who have not done this may be asked to move to a different seat. If you are attending a show in the Studio with very small children, please try and select a seat that allows easy exit if necessary. Naturally, this does not apply to those shows which are specifically for very young children. If your child becomes very vocal or distressed we may ask you to leave the auditorium until they settle. Due to the nature of our space, on returning to the auditorium you may be asked to use a different seat. Audiences are asked to consult the Box Office or individual productions online for advice on the content and age suitability of different productions. We try to offer at least one relaxed performance per performance - these are designed to welcome everyone who would benefit from a more relaxed environment in which to watch a show. Please check with the Box Office or here for more information. Information supplied may be used for registered purposes under General Data Protection Regulation (GDPR) Act 2018. See our Privacy Notice. When a performance has the potential to sell out, we bring in dynamic pricing for some performances. It's an approach that is similar to airline ticket prices which change according to demand. Some ticket prices on certain performances therefore may increase if the demand is enough, so it's always best to book early for popular shows.